Our goal is to connect people with the best local experts. We scored wedding photographers on more than 25 variables across five categories, and analysed the results to give you a hand-picked list of the best wedding photographers in Lincoln, NE. Nathan of 40 Nights Photography provides wedding, engagement, portrait and commercial photography services. Based in the Lincoln, Nebraska area, Nathan serves Nebraska, Kansas, Iowa, and South Dakota. He strives to make wedding portraits that are artistic, technically perfect, and adventurous. Allison Garrett Johnson is a wedding and portrait photographer based in Lincoln, Nebraska, with 12 years of experience photographing weddings, engagements, and portraits. Her blog is extensive and contains many samples of her wedding photographs, including handmade albums. All of her wedding portfolios include high-resolution digital files and pricing starts at $1950. Portrait session fees start at $100 with the option to purchase prints, wall art, canvas wraps, and digital albums. Brighten Photography specializes in engagement and wedding photography in Lincoln, Nebraska. It is run by Ben and Whitney Harms. In addition to wedding photography, Ben and Whitney enjoy taking family portraits. They employ a lot of seemingly unposed "real life" photos in their work. A substantial archive of their wedding and engagement portraits are available online. Chris Nichols provides wedding photography for the Lincoln, Nebraska area. Customers speak highly of his punctuality, professionalism, and eye for detail. In addition to wedding photos, he also offers 90-minute portrait sessions resulting in a CD/DVD of all the edited images, and a copyright release for printing. 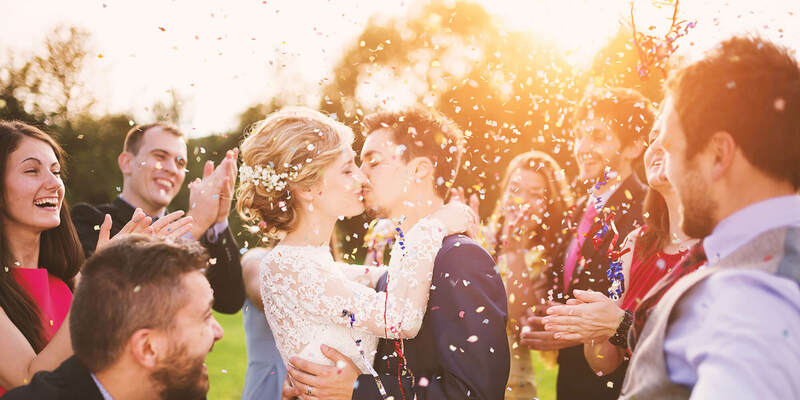 Elayne Woods Photography, owned by Elayne Woods, is based out of Lincoln, Nebraska, and provides wedding and engagement photographs throughout the area. Her studio can be found in the middle of Lincoln's historic Haymarket. She approaches weddings with a photojournalistic style and seeks to capture the event candidly and naturally. Family and maternity photography is also available. Matt Elwood of Elwood Photography provides wedding and engagement photographs in Lincoln, Nebraska and surrounding areas. Although he specializes in wedding photography, Matt photographs a diverse range of events and people. He covers high school seniors, family photos, baby photos, maternity photos, and promotional photos for businesses. Customers speak highly of Matt’s personable nature and flexibility. Emily Hardy Photography is a lifestyle studio owned by Emily Hardy and is based in Lincoln, Nebraska. It serves Omaha, Fremont, Wahoo, Nebraska City, Waverly, Beatrice, Denver, and Kansas City. Emily’s style is observational, and she prefers to use no backdrops and very little posing. She also rents out an open air photo booth which includes lighting, a backdrop, fun props, and a photographer. James Bitz Photography is a wedding and engagement photography company owned and operated by James Bitz. The company is based in Lincoln, Nebraska and serves Nebraska and the Midwest. In addition to weddings, James shoots senior pictures, family portraits, and boudoir photos. James is a member of Wedding and Portrait Photographers International, an organization which supports wedding photographers throughout the world, and the Professional Photographers of America. Jami Motz, owner of Jami Lea Photography, has been providing wedding photography to the Lincoln, Nebraska area since 2004. Other specialties include portraiture of a variety of subjects. Jami provides superior editing of all of her products, including moderate skin retouching and image enhancing. She also offers unlimited full-resolution digital downloads. Brooke LaBenz is the owner of LaBenz Photography, specializing in weddings and portrait photography in Lincoln and Omaha, Nebraska. All of her image collections come with print release and a shareable online gallery for friends and family. She also photographs maternity sessions, engagements, family sessions, Fall family sessions, senior photos, hospital sessions, and portrait mini-sessions. Destination events are an option. Lane Hickenbottom of Lane Weddings is a Lincoln, Nebraska-based photographer. Lane's work has been featured in the Omaha World-Herald Wedding Essentials section, the Washington Post, Nebraska Wedding Day, and USA Today among others. His style of photography is current, artistic and a little quirky, and he draws much of his inspiration from nature, his family, and his traveling adventures. Moments in Time Images is a family owned wedding photography and videography company based near Lincoln Nebraska. Run by the brother-sister team Lori McGinnis Black and Randy McGinnis, they have 60 years of combined experience. In addition to weddings and engagements, they do senior and family portraits, business headshots, and pet and boudoir photography. They use current, high-end equipment, and are experts in wedding and business videography. Nikki Moore Photography is a wedding and engagement photography company in Lincoln, Nebraska. The owner, Nikki Moore, also takes senior photos, family photos, and headshots. Her style is warm and peaceful; she uses a lot of natural lighting for a more organic feel. Nikki's work has appeared in Style Me Pretty, Ruffled, Northwoods, Dainty Obsessions, and Nebraska Wedding Day. She serves Lincoln and the surrounding areas. Paris Street Studios specializes in wedding and engagement photography in the Lincoln, Nebraska area. The owner, Liz, is a young mother who photographs only a limited number of weddings each year to preserve the quality of her products and services. She also photographs high school seniors, babies, and many other occasions. Her wedding collections begin at $1999 and include eight hours of coverage, a USB digital album, and an engagement session. Liz is available for destination weddings. Richmond Photography is a wedding photography company located in Lincoln, Nebraska. Their specialty is wedding photos that are candid and spontaneous. In business since 1992, Richmond Photography also provides services for senior pictures, family portraits, and special event photography. In addition, Richmond Photography covers sports teams, fire departments, and Greek fraternity and sorority events. Sam Swartz Photography is a portrait and wedding photography provider in the greater Lincoln and Omaha Nebraska area. In addition to engagements and senior photographs, the owner, Sam, has extensive experience with corporate photography in and around Lincoln. His studio is located in the middle of the historic Haymarket district in downtown Lincoln. Robert Wurth of Studio Orange Photography has been providing quality wedding, engagement, and portrait photography services in Lincoln and Omaha, Nebraska for over a decade. Robert is a member of the Professional Photographers of America. He keeps a running blog about an extensive range of photography-related topics, and will recommend other wedding photographers around the world if he is unavailable. Destination weddings are an option, and high resolution digital files come with every package. Jamy Sullivan is the primary wedding photographer of Sullivan Photography, based in Lincoln, Nebraska. His work has been featured in calendars, books, CD covers, websites, and on billboards. In addition to weddings, Jamy provides a range of photography options, including baby, children, maternity, family, high school senior, pets, and classic boudoir. Chad and Gina Zabloudil own and operate Zabloudil Photography, based in Lincoln, Nebraska. They are members of Professional Photographers of Nebraska as well as the Professional Photographers of America. The Zabloudils have been photographing weddings since 2003. In addition to wedding photos, they also specialize in family portraits and special senior photographs. They serve Lincoln and the surrounding areas.